Enjoy a travel in time in an old cigar factory! The Recôncavo (inlands Bahia), is known for its cigar production and one of the most traditional cigar factory is Dannemann. 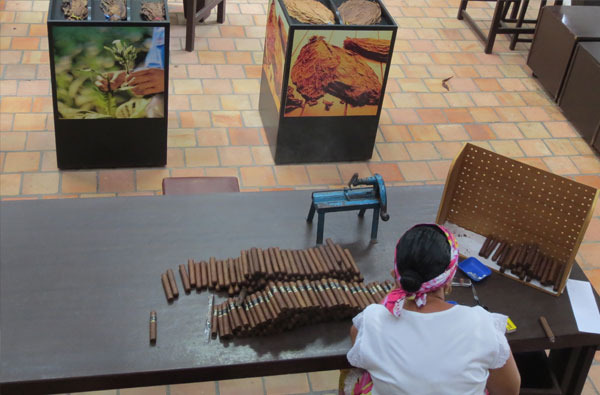 Here you can see women hand-making cigars using a traditional method which has stayed the same over the years, visit the plantation and be part of the reforestation project Adopt a Tree. Read more about our 2-days tour. Your local driver will pick you up at the hotel in Salvador to bring you to São Felix. Your English speaking guide will be waiting for you either in the cigar factory or at the bus stop. 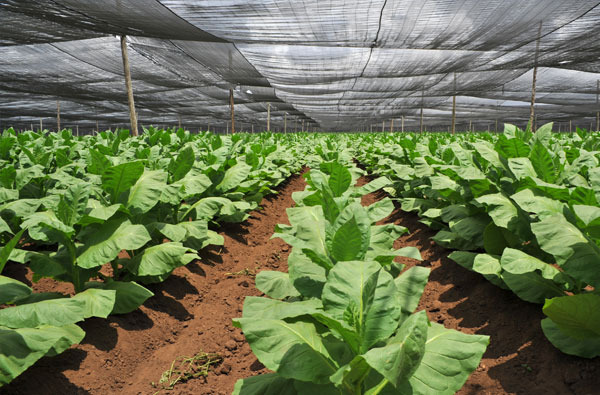 You will first visit the San Antonio farm tobacco crops: you will be taught how the tobacco is planted, dried and fermented. Lunch at the Santa Cruz farm. You will be introduced to the Adopt a Tree reforestation project and will have the opportunity to be part of it by planting your own tree in the Altantic Forest of the Santo Antônio do Retiro farm. You will enjoy the rest of the afternoon in the peaceful farm surroundings and will be served a regional diner. The next day, after a delicious breakfast, you will visit the Dannemann Center and the traditional cigar factory. Your driver will pick you up in São Felix to bring you back to your hotel in Salvador or to the airport.